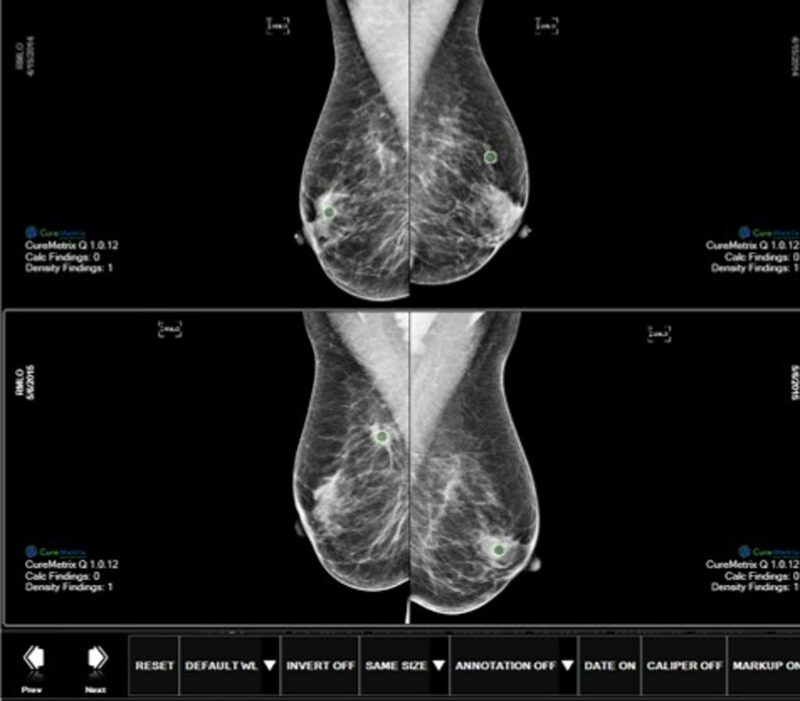 TradeMed - Industry News - AI-Based Mammography Software Receives FDA Clearance | | Medical Equipment and devices for hospitals or institutions. CureMetrix (La Jolla, CA, USA) has received clearance from the US Food and Drug Administration to market cmTriage, a workflow optimization tool that enables a radiologist to customize, sort, and prioritize their mammography worklist based on cases that may need immediate attention. CureMetrix is a healthcare technology company that develops computer-aided detection (CAD) software based on artificial intelligence (AI) for medical image analysis. Instead of today’s method of first in, first out for reading through a screening mammography worklist, radiologists can now use CureMetrix cmTriage to identify which cases are suspicious and focus on those first. They can also use cmTriage to optimize their clinical workflow by sending the suspicious cases to their most senior radiologists or reading the suspicious cases immediately before the patient has even left the clinic. CureMetrix cmTriage has an area under the curve (AUC) of 0.95. With this high level of efficacy, radiologists can expect cmTriage to highlight the suspicious cases without excessive false positives. “Early and accurate detection in breast cancer is key in improving cancer survival rates worldwide through the development of next generation medical image analysis solutions. With 40 million mammograms a year in the US, only five cancers per 1,000 are being found at screening. cmTriage allows the radiologist to prioritize their worklist, creating the potential to help doctors move more quickly through their reviews and find those cancers by highlighting the suspicious cases. “Our ability to bring cmTriage to the medical community is a major milestone in our mission to deliver CAD that Works to support the radiologist and the patients they serve,” said Kevin Harris, CEO and Board Director for CureMetrix.